The Mission & Outreach Committee is focused on supporting local mission initiatives in our community which includes Placitas, Bernalillo, Rio Rancho and the greater Albuquerque area. We also work with the Presbytery of Santa Fe and the Presbyterian Church (USA) and support their mission objectives. Be sure and buy your Just Coffee products from the Mission Committee every Second Sunday of the month in the Fellowship Hall before and after church services. 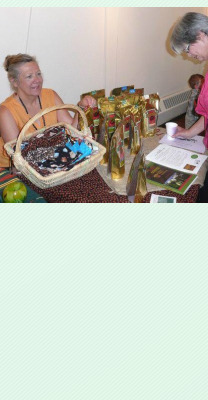 Some of our fundraising projects include selling wine and gift bags made by church members. Our bags are sold at various locations and events including: Range Café gift shop, the Idalia Marketplace in Rio Rancho and the Placitas Flea Market. We have also recently raffled off quilts made by church members. The Mission Committee is always looking for people to help and invite you to consider joining us. We meet the fourth Tuesday of the month at 7:00 PM, please call the church office for more information at 867-5718.